Former Head of Collections and Exhibitions at The Henry Moore Foundation, David Mitchinson, describes the importance of the comprehensive book on Henry Moore’s work which was published by Lund Humphries in 1944. The triumvirate of sculptor Henry Moore, art historian Herbert Read and printer/publisher Peter Gregory was one based on friendship, Yorkshire, and mutual respect. Read had been the earliest writer of a monograph on Moore. Printed by the Bradford-based firm of Lund Humphries, of which Gregory was both joint managing director and chief shareholder, this was brought out in 1934 by Anton Zwemmer, the London-based publisher. Read continued writing about Moore’s sculpture over the next thirty years while Gregory became Moore’s closest friend, accompanying him to his most important immediate post-war exhibitions – at the Museum of Modern Art, New York in 1946 and the Venice Biennale two years later. On his death in 1959, Gregory bequeathed two of Moore’s early carvings to the Tate and a Modigliani drawing Les Maries (Famille) to Moore himself. 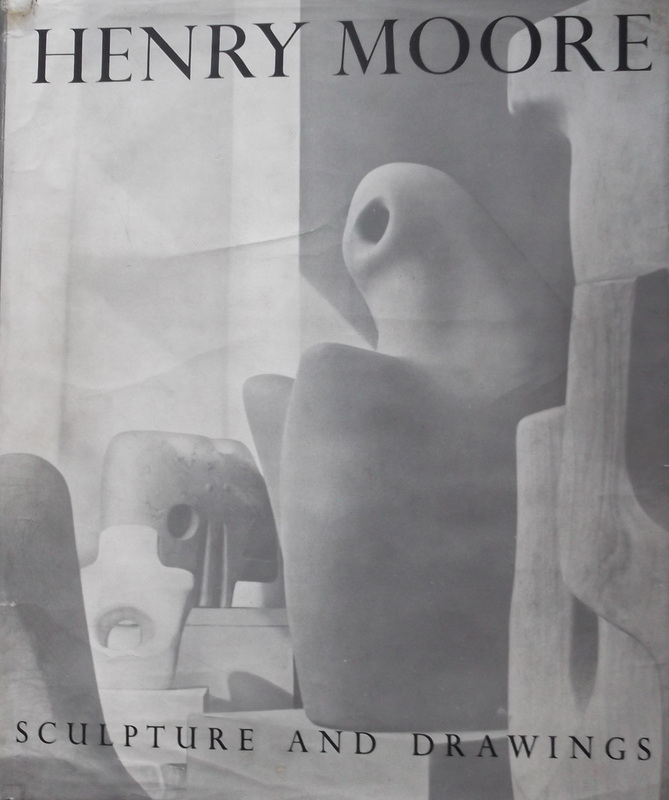 Given the strong personal relationship between the three men it is not surprising that they should have cooperated in 1944 to produce Henry Moore Sculpture and Drawings, the most comprehensive book on Moore’s work to date and one that would lead over the following decades to a six-volume catalogue raisonné of his sculpture and later to seven volumes of his drawings. It was not until the 4th revised appeared in 1957 that the monograph evolved to become a sculpture catalogue raisonné. In 1944, however, no one thought in terms of producing a catalogue. What was then required were good-quality illustrations. Admittedly, compiling a book at the end of the Second World War meant most of these were in black and white, many taken from prints made from pre-war glass negatives. Moore, who liked to take his own photographs, could often seem a little vague when asked about the identity of other photographers, preferring to suggest that he had taken most, if not all of them, himself. But as no evidence exists to show he owned a large plate camera, and some of the original prints have the identifying stamps of commercial London studios on the reverse, it seems likely that at this early date many of the images were left to a professional photographer, though one who probably worked under the sculptor’s supervision. Read’s text, which took up twenty pages, placed Moore’s work in the context of world sculpture and examined his working methods. 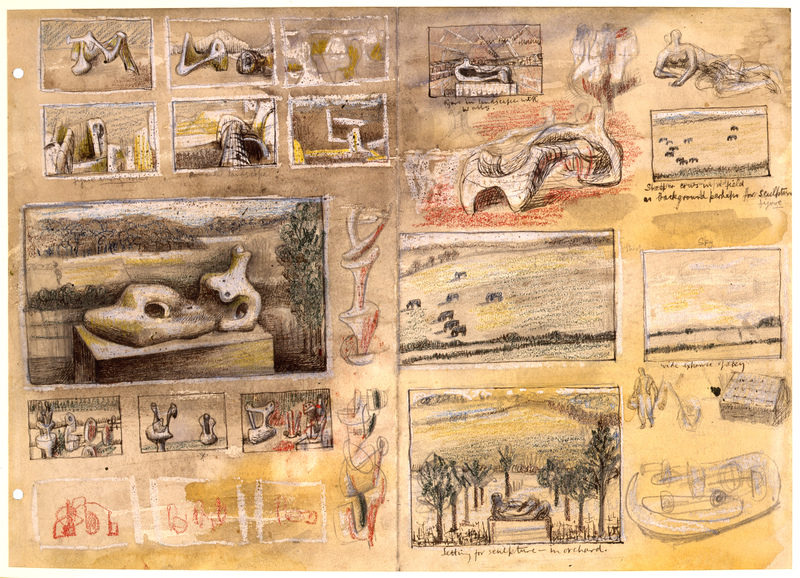 It included fifteen sculpture illustrations ranging from Cycladic, Aztec and Scythian through to works by Brancusi and Gabo, plus nine of Moore’s works on paper. After a biographical note came three essays by Moore, all reprints from elsewhere on ‘The Sculptor’s Aims’, ‘Notes on Sculpture’, and ‘Primitive Art’. There followed the sculpture illustrations divided into sections headed ‘Stone’, which had 95 plates; ‘Terracotta and Concrete’, 21 plates; ‘Wood’, 28 plates; ‘Stringed Figures’ (here a sudden change from material to subject), 15 plates; and ‘Metal’, 18 plates. Following these came 13 illustrations of work in progress for the stone carving Madonna and Child 1943–44, destined for St Matthew’s Church, Northampton. Lastly, under the heading ‘Sketches and Drawings’, were illustrations of 167 works on paper and two of plaster and white clay maquettes. Even from this numerical breakdown of illustrations it is easy to deduce that at this stage of his career Moore was undoubtedly a carver, not a modeller. The book’s dimensions, at approximately 292 x 240mm, remained constant for all future volumes and editions. Curiously, the book was not paginated, but had in total 278 pages which included fourteen sheets of thicker paper tipped-in, on to which one colour plate of a sculpture and thirteen of drawings were attached. The first edition of Sculpture and Drawings was to have huge impact on the knowledge and understanding of Moore’s work, particularly through its large-size illustrations and as the start of a thirteen volume series. David Mitchinson retired from his position as Head of Collections and Exhibitions at The Henry Moore Foundation in 2010, after more than three decades of leading an internationally-acclaimed programme of Moore exhibitions and publications. He has written and edited numerous books on the artist including Celebrating Moore (1998), Hoglands: The Home of Henry and Irina Moore (2006) and Prints and Portfolios (2010).